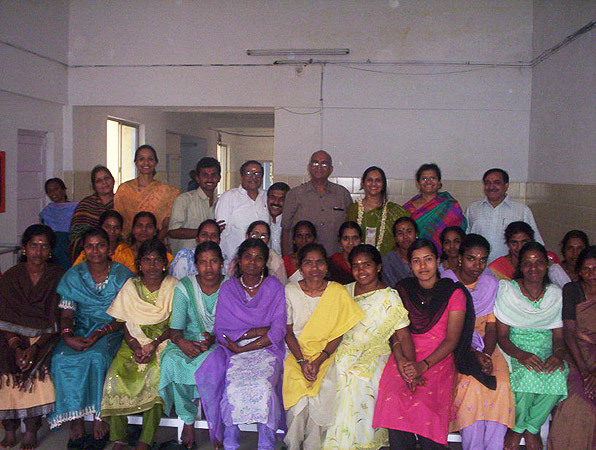 The first National Arogya Training Center was inaugurated on 5th June 2005 by Ma. Shyamjee Gupt at Ashwini Hospital, Medikeri, Karnataka. The Inauguration was attended by Dr. Harish Anand Arogya Yojana Pramukha, Dr. Sarita Mittal Arogya Prashiksan Prabhari, Sri Ganesh Shenoy, Sah Yojana Pramukha, Su. Savita, Kendriya Parshiksan Pramukha and Sri Vasant ji and Dr. Kulkarni Incharge of the hospital. There were 22 lady participants who pledged to stay away from their homes and work for the health care in different tribal regions of the country through Arogya Yojana. Since the inception of Arogya Yojana it was planned that the Yojana should be lead by women only because our Arogya sevikas are all girls from the villages. Dr. Sarita Mittal was very confident after interacting with the lady trainees at Medikeri. It would not be difficult to get lady Karyakartas capable of taking the responsibility of health care at Sanch, Sankul and Anchal levels according to the need, Dr. Sarita said. The enthusiasm of the trainees was remarkable. They appeared committed enough to give good results in future. For the training programme a Doctors’ team was constituted comprising local doctors. Mr. and Mrs. Dr. Kulkarni, Dr. Sateesh from Ooty, Lalita Trilokiya and Savita Mahanandiya. Mr. Raj Shekhar would be the coordinator of the programme. The training programme would be for three months. During this period theory and practical knowledge would be imparted to the participants who should have field experience also in the meantime. The first training programme would be concluding on 3rd September 2005. A meeting of FTS was held at Calicut in Kerala at the residence of Sri Sabooji. It was attended by many distinguished personalities from the field of Business and medicine. The subject of Ekal Vidyalaya was introduced by Saboo ji. Dr. H.K. Mittal narrated about Arogya Yojana in details. Every body acknowledged the importance of Ekal Yojana. They assured of maximum cooperation. The donation box (Seva Patra) distribution was also started in the same meeting. 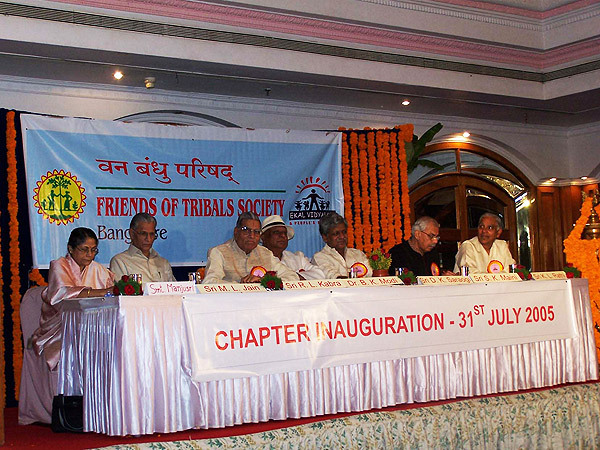 The long cherished wish came true on 31st July 2005, when Bangalore, the city known for scientific glory of India became the 13th Chapter of Friends of Tribals Society. Bangalore the first Chapter of South India is going to set new standards for other upcoming Chapters. This is the first Chapter of FTS which has become almost self reliant before its official opening. In future the Chapter will be ready to help even adjoining areas. The women wing of the Chapter is already very active. They launch innovative programmes successfully and help in collection drive. 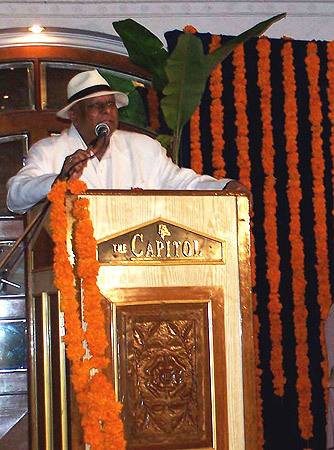 The inaugural function of the Chapter took place in the Hotel Capital. Dr. B.K. Modi of MCorp Global was the main speaker. 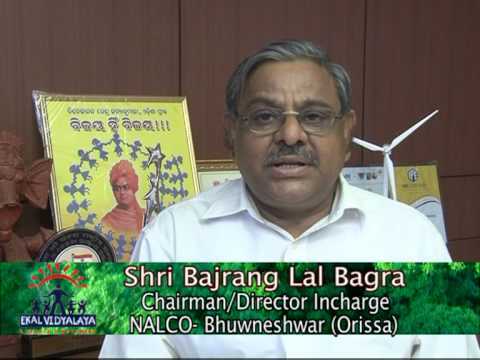 He is the Chairman of Ekal Vidyalaya Foundation, Global. Dr. Modi called upon the attention of 350 distinguished guests gathered in the Hall and impressed them to join Ekal Movement. He emphasized that illiteracy is the biggest hindrance in the growth of our country. Dr. Modi stressed that if we could empower 9 crore tribals of India by giving them education, healthcare and self-reliance, India would get strengthened considerably. Dr. Modi convinced the intelligentsia present there that India has the genetic superiority over the world because of its inbuilt family system, which helps a person grow with Samskar moral value and spiritualistic energy. These merits facilitates Indians progress over others. He stressed, “This is the right time for us to join Ekal Movement which is the most appropriate tool of today to reconstruct India as Samartha Bharat and Samridha Bharat. We all dream of living in Samridha Bharat, economically strong and ethically honoured Bharat”. So let us work together for the re-emergence of a stronger India. On the dais were seated Shri R.L. Kabra, M.L. Jain, S.K. Maini, D.K. Saraogi, K.L. Rathi and Smt. Manjushree. 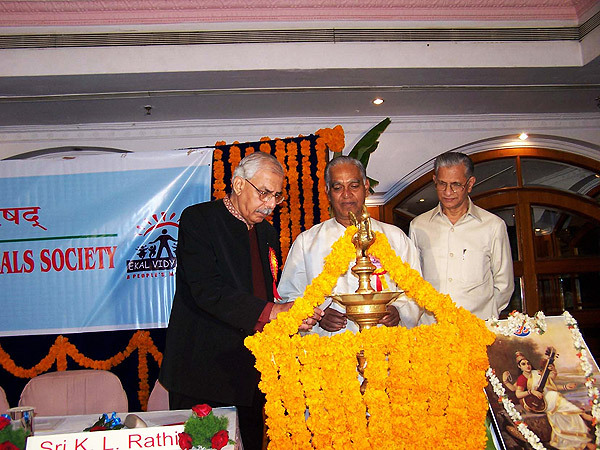 Shri Kabra the national president, FTS. reminded the industrialists about their duties towards nation. He said in the past they were called Shreshtha. 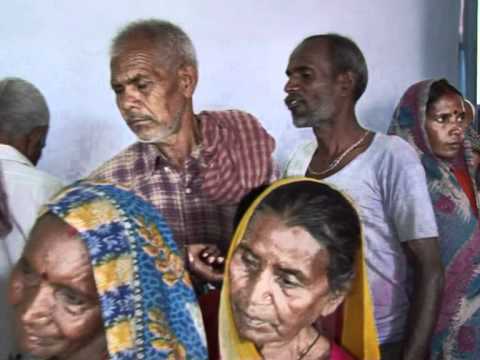 (The best people of the society) not Seth because they were dutiful towards society. Shri Kabra pronounced the Chapter open. Shri M.L. Jain, National Genral Secretary of FTS readout the names of the Executive Committee of FTS Bangalore. Mr. S.K. Maini, Patron of FTS Banglore welcomed everybody. He highlighted the fact that in Bangalore people from every cast and religion had joined us in Ekal Movement. Smt. Manjushree spoke briefly about FTS, and its success story as a city based organization i.e. Nagar Sangathan. Mr. D.K. Saraogi, President – Bangalore Chapter reported about the Chapter functioning during one and half year. 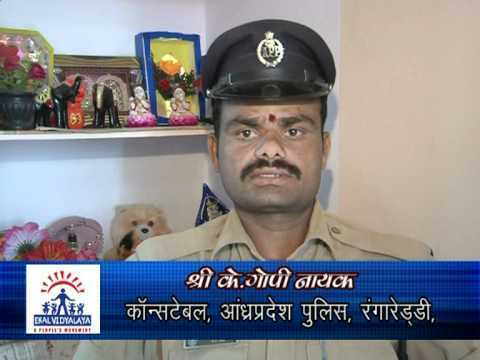 Shri K.L. Rathi, General Secretary gave vote of thanks. The programme was conducted by Shri Pawan Maroo, Organization Secretary FTS Bangalore. The most attractive programme of the evening was the brilliant performance of 20 Ekal Children. Who had come from Dandeli Anchal of Karnataka. They danced, sang and showed amazing formations one of Yoga. A Press Conference was also organized at 11 A.M. at the Hotel Capital. Dr. Modi, Mr. Maini, Mr. Saraogi and Shri Kalra addressed the Press Media. Many dignitaries from other Chapters of FTS also arrived on this occasion. It was certainly a very happy occasion for all of us. All the guests parted after dinner. Bhubneshwar, Orissa, The land of Lord Shri Jagnnath witnessed the congregation of 106 women who arrived here from 23 cities of 9 States in India. S.No. State No. of Cities No. of Ladies. The main subjects of Nagar Sangathan and its several schemes were discussed in 10 sessions over two days. All the sessions were interactive. A good number of ladies participated in the discussions. Most of them decided to devote considerable time for implementation of the schemes like Seva-Patra Yojana, Sanskranti Sangrah (Collection in cash and kind on the occasion of Sanskranti, which falls on 14th January every year), in the cities. Some sisters have resolved to visit adjoining areas (Anchal Kendra cities) to mobilise resources and organise women committees to promote the schemes. Their Target for the year is to enhance Swavlamban Rashi. (Money collection to facilitate self-reliance) The event was successfully organized by the members of Utthan Nyas, the state voluntary organization (SVO) committed to the cause of Ekal Vidyalaya Movement. Smt. 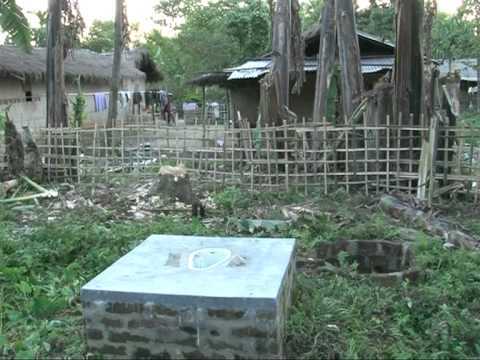 Sheela Chitlangia of Kolkata inaugurated the Varg. Smt. Manjushree and Shri Shyam Gupt respectively addressed the gathering on opening and concluding sessions. Slowly but steadily the women wing is catching on the spirit of Ekal Movement. The sincere efforts of Ms Sudha Santuka Nagar Sangathan Mahila Vibhag Pramukh and Mrs. Shashi Sethia of Bhubaneshwar made this event a grand success. Members of Utthan-Nyas and their friends welcomed all the guests heartily and made arrangements for them to stay with their families. Each guest was given a token of gift at the time of parting. Blessed by Lord Jagannath, we all departed more committed and determined to work for the service of nation.